Once your medical professional has diagnosed your osteoarthritic condition, they will recommend the most effective treatment for your knee arthritis based on you and your lifestyle. They will consider your activity level, your age, the location and severity of your knee arthritis, as well as how long you have had it, the symptoms you experience and any other associated knee injuries. The therapy for a 34-year old athletic, working woman will not be the right treatment for a 75-year old retired man. Also, the treatment for a high energy, competitive or aggressive type-A personality, may not be suited to an easy going, relaxed and patient type-B personality. There really isn't a cure for osteoarthritis. Generally the focus of treatment is to relieve and control your knee pain and inflammation, slow down your arthritis progression, minimize your knee joint damage and the risks of therapy, maximize your knee mobility and function, improve your muscle strength and control, prevent work disability, and improve or maintain your quality of life. Conservative treatments are usually recommended in the beginning. 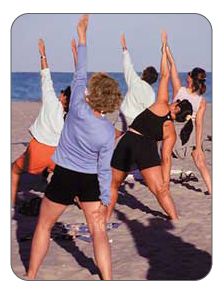 However, as your arthritis progresses, treatments that once worked may no longer be effective. Surgical options are used if the conservative treatments fail, and your knee damage and pain severely interfere with your daily living. During your recovery, you will probably have to modify and/or eliminate any activities that cause pain or discomfort in your knee area until your pain and inflammation settle. The best way to manage your knee arthritis is to be one step ahead of the process, combining conventional practices and medicines with alternative treatments, joint protection, patient education, lifestyle changes if required, and self-management (diet, rest, exercise). The more diligent you are with your treatment and rehabilitation, the faster you will see successful results. People with early osteoarthritis in the knee tend to have higher success rates than individuals with later onset, as their conditions are generally a result of trauma to healthy tissue rather than degeneration over the years. Scar tissue will often develop as a result of injuries once acute inflammation begins to decrease. As your damaged knee tissues heal this dead, fibrotic tissue will develop instead of forming brand new healthy tissue. This tissue adheres to your muscle fibers, tendons, ligaments, fascia, nerves, and joints causing pain and preventing them from moving properly (this limits your range of motion, flexibility and strength). Approximately 19.4 million visits to physicians' offices in the US per year are due to knee problems. Most knee injuries can be successfully treated without surgery. 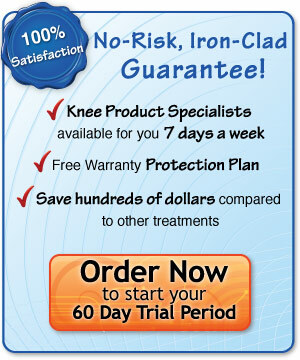 MendmyKnee (a division of MendMeShop) is an FDA registered company. Every year, at least 1 in 3000 Americans between ages 14 and 55 tear an anterior cruciate ligament (ACL).